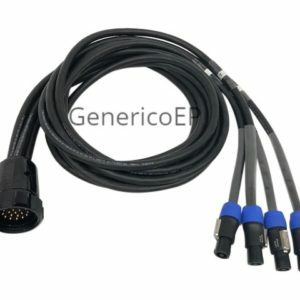 Generico offers 12/18 socapex cable for audio line array cabling and other speaker configurations. 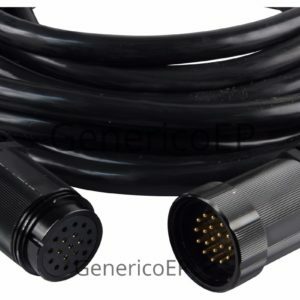 The 12/18 cable can also be used for lighting and other power applications. The 12/18 offers 18 separate conductors enabling various breakouts to be utilized that include NL-4 and other connectors to connect to individual cabinets. Generico assembles audio break in’s and breakout’s upon request. More than 99% of all socapex cable in use is 12/14 with 6 conductors as hots and 6 as neutrals. 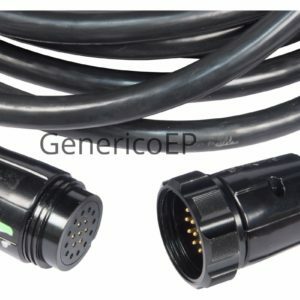 The last two connectors are soldered in a ring to all 6 ground pins as approved by the National Electrical Code. Generico can provide other options for Audio Socapex Break in’s and Break out’s upon request.